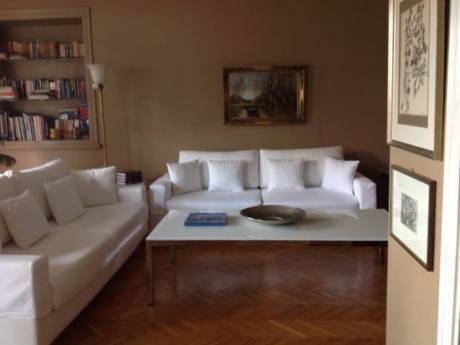 A three bedroom, two bathroom, newly-renovated first floor flat overlooking the Bosphorous. We have a wonderful view to the first bridge between Europe and Asia and see all the ships that pass up the Bosphorous as well as ferries etc. On New Year's Eve Istanbul's number one firework display takes place on the bridge, for which there is a grandstand view. 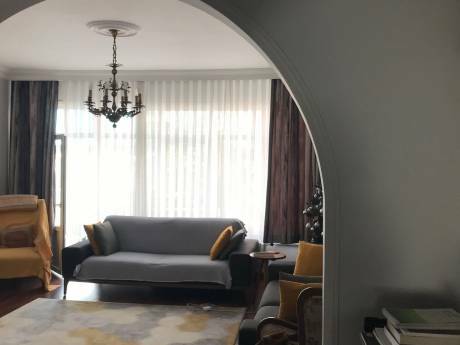 The flat is in an area called Cihangir, well known as the city's artiest residential area. There are countless delightful cafes and restaurants within walking distance. Taksim Square, the modern centre of Istanbul is a ten-minute walk. Istiklal Street, the old European capital street once called La Grande Rue du Pera and now the city's main shopping street, likewise. Access to public transport could hardly be easier. A three-minute walk down the steps to the Bosphorous and you're at Findikli tram station. From there a tram can be taken direct into the old city, Hagia Sophia, the Blue Mosque etc, or one stop in the other direction then on the metro to Taksim. Alternatively, a ten-minute stroll direct to Taksim’s transport hub. History, art, atmosphere, charm and incredibly friendly people, Istanbul is a great place to discover. We have been in Istanbul for one year and love it. We have now bought and renovated a three-bed flat, where we live permanently. We would like to spend Christmas with our daughters in the UK near my parents in Surrey and sister in Sussex, but at the same time retain some independence, hence the idea of a house-swap.